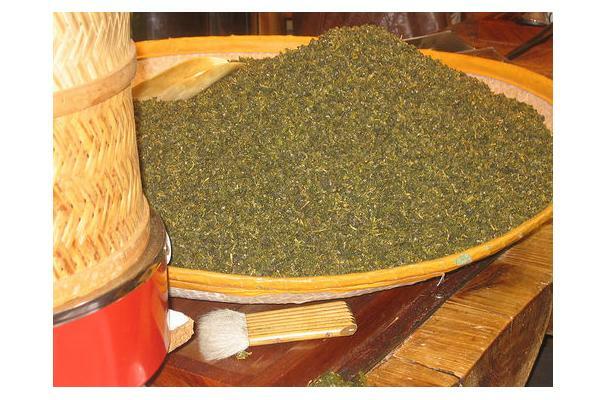 Grown in the Alishan area of Chiayi County, this tea has large rolled leaves that have a purple-green appearance when dry. There is only a short period during the growing season when the sun is strong, which results in a sweeter and less astringent brew. It produces a golden yellow tea which has a unique fruity aroma.